The Customers can choose today from offers of thousands transport companies with vehicles with GVW of up to 3.5 t. Recently, Polish carriers have even started dominating in Europe. How to verify and select such a counterparty, which ensures that the goods will reach their destination intact and within the prescribed time? Trans.eu Certified Express will be a great help – the first certificate on the market that distinguishes the best carriers who drive buses. Commercial vehicle transport is very specific and is different than heavy transport. The road transport law, driver’s working time and the obligation to hold a transport license does not fully apply to the drivers who drive vehicles with GVW of up to 3.5 t. This, however, does not mean that among the companies which use popular buses there are no companies providing specialised transport of, for example, medicine or parts for the automotive industry. Thanks to the resourcefulness of Poles, in Poland there are several thousands transport micro-businesses, which dominated the European market for transport with vehicles with GVW of up to 3.5 tons fairly quickly. Therefore, there is a strong need to distinguish the best companies involved in this type of business and it is particularly strong when it comes to freight forwarding and manufacturers who want to cooperate with trustworthy and reliable companies. 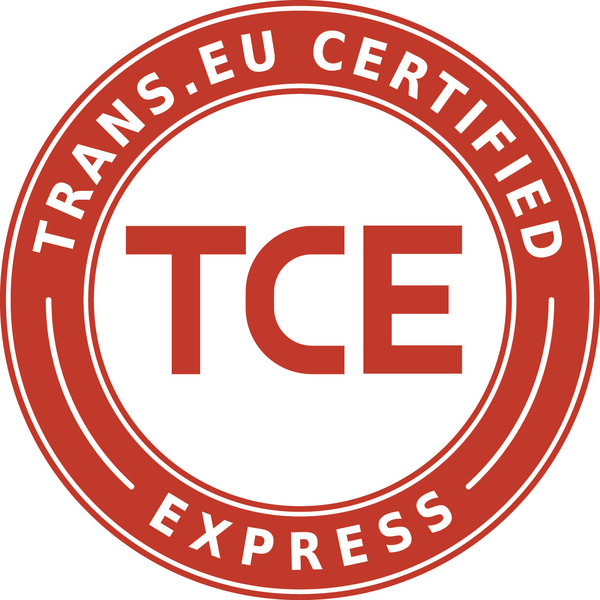 The Trans.eu Certified Express Certificate was created in response to this need. It aims to help counterparties choose subcontractors who can be entrusted with even the most precious cargo. TCE can be acquired by transport companies using vehicles with GVW of up to 3.5 t which meet a number of criteria, for example are active in the Trans.eu System, supported by a large number of concluded transactions and great comments from contractors. In addition, the carrier must deliver and update their Trans.eu profile with the whole set of valid documents such as tax ID number, National Court Register number or carrier’s liability insurance including demurrage and robbery clause, as well as non-consummated insurance amount. It is also necessary to have a minimum 2 years of experience on the market, as well as having the fleet the average age of which does not exceed 7 years. Certified companies are subject to regular, monthly monitoring which shows whether the carrier still meets the criteria that authorise them to hold the TCE certificate.